Most of us are familiar with that lovely by-product of winter – dry skin. Between the cold temperatures outside and the warm, dry environment indoors our skin is ready to crack, literally. While we can slather on moisturizer – the situation is a little more complex for our furry friends. A coating of creams, oils or balms will not do the trick. So, what are some ways to prevent dry skin for our dogs in winter? Here are a few tips to keep in mind. Make sure your pup is eating a diet of high-quality, well-balanced dog food that will provide important nutrients to keep his skin and coat healthy. 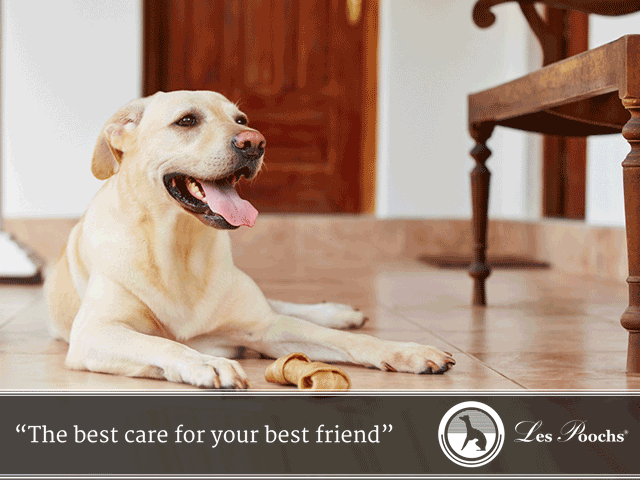 Consult your vet to see if supplements are advisable for your dog. Fish oil supplements are often recommended to promote a silky coat and to maintain the proper moisture balance in skin. A regular, gentle brushing through your dog’s coat will have many benefits. 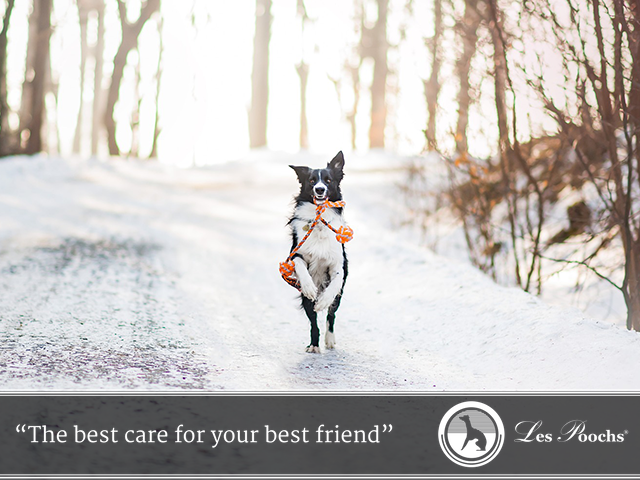 By removing dead hair and old skin cells, stimulating hair follicles, and releasing moisturizing oils in the skin, brushing is one of the most important things you can do throughout the winter to maintain your dog’s healthy skin and coat. How often should you bathe your dog in winter? Just enough…but not too much. Too many baths will dry out delicate skin. Too few baths will allow a buildup of irritating dirt and debris. One bath a month is typically a good rule of thumb. If you bathe your dog at home, make sure you are using high-quality, non-soap based products that will gently remove dirt and debris while not stripping your dog’s skin of precious moisture. Also, consider using a crème rinse that will detangle hair and moisturize coat and skin. Applying a balm to paw pads before and after a winter walk. Rinsing off paws after walks on roads or sidewalks. Putting booties on dog’s feet to keep them covered. 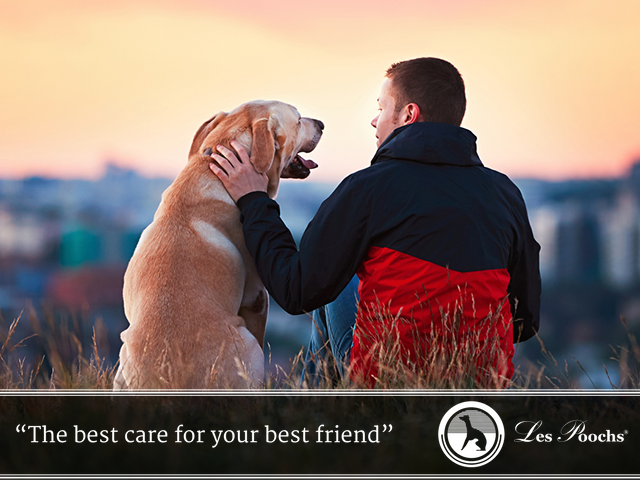 Taking these steps can help you to take the best care of your best friend. If your dog has a serious problem with dry skin always talk with your pet groomer and/or vet to try another course of treatment. It’s the stuff that holiday dreams are made of – an adorable, fluffy little puppy under the tree. Shrieks of delight and loads of cuddles will welcome your furry new family member. But love and cuddles aren’t the only things that your new puppy will need. To ensure that your fuzzy friend is safe, comfortable, and secure in your home you need to be prepared. Here is a checklist of puppy supplies to have on hand and things to do before your family unwraps one of the greatest gifts of all. Crate – Be sure and have an appropriately-sized crate available for your dog for rest and sleep. Crates can also be useful for house-breaking. Buy a crate that will fit your puppy as he grows. Many crates have a movable divider that allows you to adjust the size of the usable space as needed. Dog Bed – Put a cozy, warm bed inside the crate for a comfortable place to rest. Chew toys – puppies have a natural urge to chew. Provide plenty of acceptable options. Adjustable collar – put on their new collar to get them used to it. Sweater or Jacket – consider getting a sweater or jacket for your puppy to keep him warm in the cold weather. Puppies are as curious and mischievous as they are adorable. Your new friend will want to explore, and likely nibble on, every inch of her new home. Prepare to protect your pup from hazards in your home and protect your home from the hazards of puppy teeth! Gates – For safety (puppy’s) and peace of mind (yours) use baby gates or barricades to contain your puppy to certain parts of the house. Get items off the ground – Be sure and scour the floor where your new puppy will be and move or remove any items that could become a choking hazard – or that you don’t want the puppy to chew. Puppies love to gnaw on, well…everything. Shoes, towels, socks, pillows, blankets, toys, cords, wrapping paper – nothing is off limits – unless you make it so. Remove mistletoe and poinsettia plants – these are highly toxic to dogs if ingested. Bitter Spray – have this on hand to spray on items that you cannot move, but do not want puppy to chew on. For example, a spritz of bitter apple spray on the legs of your kitchen chairs will deter puppy from using them as a chew toy. Shampoo and brushes – be ready to give your pup a bath with a luxurious, gentle dog shampoo or creme rinse to keep his or her coat clean, soft, and shiny. Then brush out his coat with a high quality brush to leave a beautiful finish. Extra towels – keep an extra stack of “dog towels” near the door to dry off your little pooch after he or she has been outside. 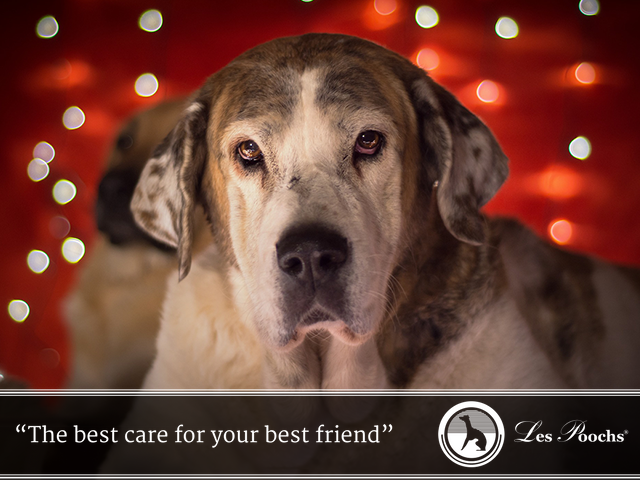 We here at Les Poochs understand that you are running a business, and in addition to caring for dogs, you are also providing for yourself or your family. A cornerstone of every thriving dog grooming business is repeat clients, so it’s always a good practice to groom the dog the best you can to guarantee a return appointment will be booked before the client leaves with their dog. The following tips will help you in providing a phenomenal grooming experience by adding a few important finishing touches, for a really thriving dog grooming business. Providing a clean, safe, and inviting space is important. Your client’s experience starts the minute they call to book the appointment or walk into your grooming salon. Keep your floor swept, and your counters and windows sparkling clean. Even with a tidy salon, it is the end result many clients care most about, and that begins with the first impression they get after their best friend visits with you. The cut of the dog is going to be the biggest factor when they come to get their dog. For higher-end clients, this can require artistic talent and precision based on each breed of dog. The next step is to take care of issues that your client will notice when they arrive home and resume spending time with their pet. A dog must be clean; both the skin and hair, and muzzle and paws, and your cleaning process must address each of these areas. Developing standardized procedures for you and your staff will help to make sure each area is cleaned on every dog. 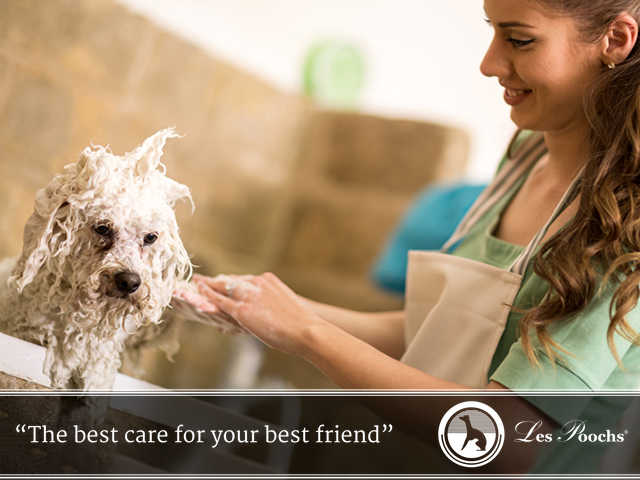 The right procedures will make sure that the dogs are shampooed and rinsed to avoid tangles and leave the coat as shiny as possible. You don’t want clients to find residue on their dog once they return home, or notice that their dog is starting to itch because of dry skin. Using a high-quality dog shampoo will help. A big reason many clients enjoy having their pets groomed by professionals like you is to take care of shedding and matting issues. They usually do not want to be the ones who have to thoroughly brush their dogs on a regular basis. Deshedding a dog can be hard with certain breeds, since the bathing process often produces a significant amount of shedding. However, with a set of high-quality dog brushes designed specifically for addressing shedding and matting, your job will be made much easier. Good customer service is on ongoing process that can make or break your success with running a thriving dog grooming business. As mentioned above, good customer service starts when a client makes a first call, and then it continues through every interaction between them and you and/or your staff. Exceeding your clients’ expectations at every turn will ensure repeat business and referrals. Spend time getting to know your clients, and teach them techniques they can use at home to take care of their dogs between visits to your salon. As you get to know your clientele, you will learn whether they need reminders for appointments, or would appreciate a rewards program. Of course, you can offer all kinds of bells and whistles in your business, but if you don’t continually produce a high-quality grooming experience, your bottom line will suffer. Keep these tips in mind and repeat your new standardized process with each client. 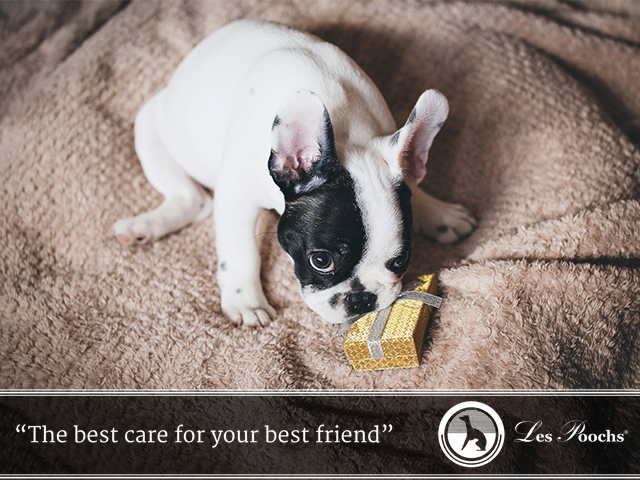 Your expertise in taking care of each dog and using high quality products and good procedures will ensure you high standards are maintained (even exceeded), and that you’ll soon be enjoying success. Have you ever been petting your dog and felt a bump in the hair? It is not coming from or involving their skin – it just feels like a big clump of hair. In dogs, this type of tangle is called a mat and can be problematic if not taken care of. Following are some tips on how to keep your dog’s fur mat-free. How do you remove tangled hair from your dog? The bigger the mat, the harder they are to deal with, and can actually cause significant problems for your dog, especially pain. 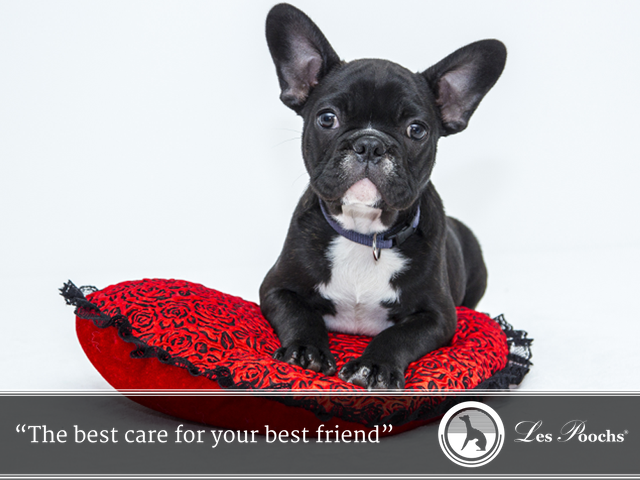 With great care and a calm dog, you may be able to take care of a smaller mat yourself. However, be very careful with bigger mats—they are usually best handled by a groomer. Large tangles in your dog’s fur can result in injuries due to harsh and repeated brushstrokes, and even abrasions to the skin. If the mat is big enough to cause you any concern, it is best to immediately call your groomer. Groomers are skilled at keeping dogs calm during washing, and know just how to deal with mats to untangle dogs’ hair with the least amount of irritation or discomfort to your dog. If a mat does have to be removed, your groomer will be able to do this with the least amount of shaving and may even possibly be able to blend in a shaved area until the hair grows back. How can you prevent tangles in your dog’s hair? The best mat prevention is regular brushing with a high quality set of dog brushes (link to dog brushes). Depending on the breed of your dog, you can use a brush for the top coat and also a brush that specializes caring for the undercoat. You can even lift hair into sections to ensure you take care of hard-to-reach spots. Also, we highly recommend regular visits to the groomer to deal with tangles and mats. Good groomers are able to spot a mat even before it starts. 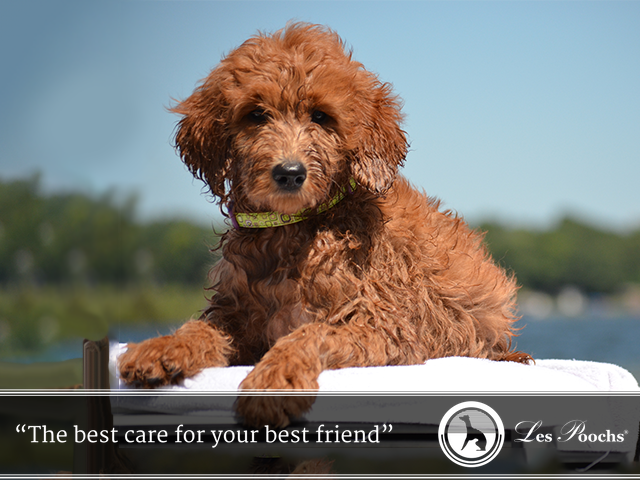 We know your pooch is your best friend and you place great importance on taking care of him or her. Once you get into a regular brushing routine and find a groomer you trust, your dog will be free of tangles and mats, and ready to spend time providing unconditional love for you! All pet owners want a dog with a shiny coat. Your dog’s coat condition and care will largely depend on the type of breed. Different breeds call for different nutrition and grooming schedules. 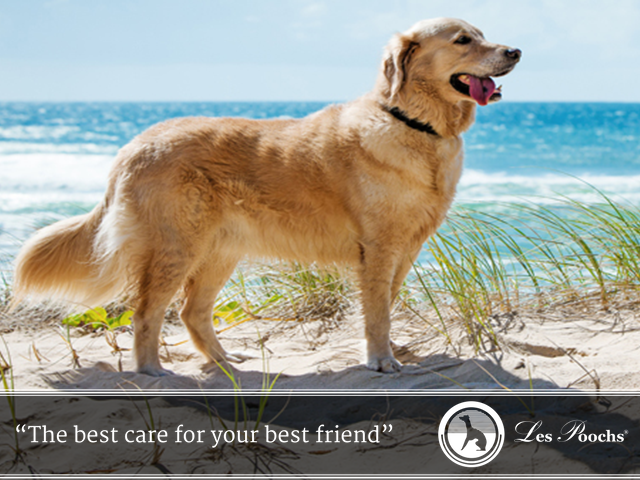 Most dogs look their best with a nice shiny coat, and many owners struggle to get the healthiest look possible. If your dog does not have a shiny coat, there are several steps you can take to ensure you are doing everything you can at home to bring out the best in your dog’s appearance. Regular brushing is a fantastic way to aid in keeping your dog’s coat shiny. Brushing activates a dog skin to start producing oils which in turn make the dog’s coat shiny and healthy. Some dogs’ coats need a daily brushing, while others’ can skip a day or two. Some dogs need a bath once a week others can go longer to keep them clean and their skin/coat healthy. Again, the type of dog and condition of his/her skin can play a factor in determining how frequently to bathe your dog. A high-quality dog shampoo specially formulated for your dog will ensure gentle care. 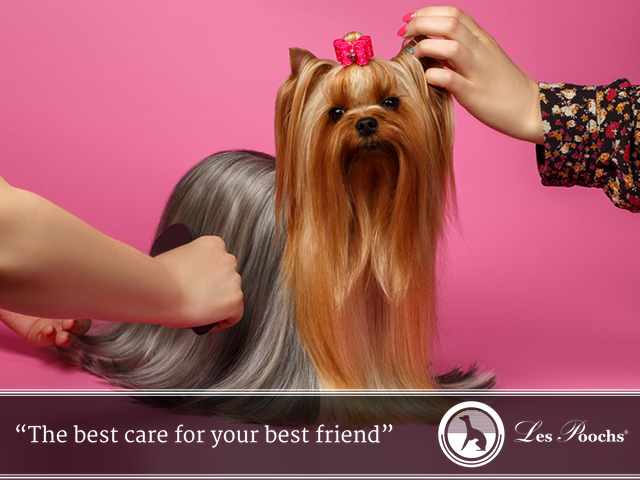 A good grooming session will leave your pet looking his/her absolute best. Groomers spend extra time and often have special products and tools, just like a visit to the hair salon for you! If you start to notice that you just cannot get your pet looking its best, then a trip to the groomers is probably needed. What can dull your dog’s coat? Inadequate nutrition, medical issues, stress, anxiety, and even a lack of exercise can all cause your dog’s coat to be dull. If you’re still not happy with your dog’s coat after regular brushing, bathing, and grooming, then it might be time to visit the vet’s office for a check-up. Sometimes a change in diet or medication is all it takes – and your pet will start to feel better as well! If you think your dog’s coat could look shinier a good first step would be to check with your groomer and veterinarian.